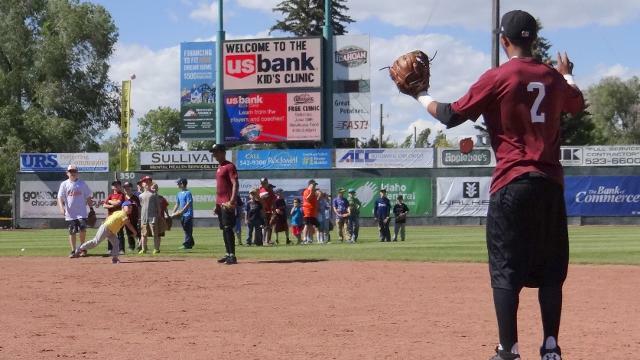 It was a beautiful day as over 100 kids took Melaleuca Field by storm to learn from their favorite Chukars players and coaches Saturday afternoon. Four stations were set up around the field including pitching, hitting, outfield, and infield. Brandon Thomas was one of a handful of pitchers that ran the pitching station over by the home bullpen. At the outfield station, Jerrell Allen helped work with the kids on pop fly balls and grounders. Shortstop Corey Toups paired up with teammates to show the kids some infield drills like fielding ground balls and throwing to second. Alexis Rivera was one of several players running the hitting station. It was his second year helping with the clinic and he said he enjoys it. That was the consensus among the players who all said they enjoyed their time working with the kids. “I went to camps like this when I was little. It’s so much fun to be here and be able to do that as a professional,” Toups said. Allen said teaching was hard but he loved the Kid’s Clinic. 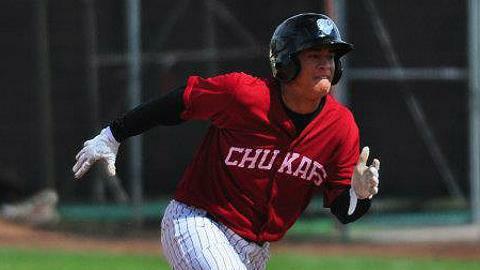 This article originally appeared on the official website of the Idaho Falls Chukars. Click here to view the original story. The “Just 4 kiDDS Chukars Club” will offer children twelve years of age and younger the opportunity to attend five games throughout the season for only $5.00. A special punch card will be validated, once it is paid for, at the first Chukars game attended. The card will be good for any Regular Season home game, with the exception of Opening Day and July 4th. Cards may be picked up at the ballpark, at Just 4 kiDDS Dentistry, or other selected businesses throughout the summer.